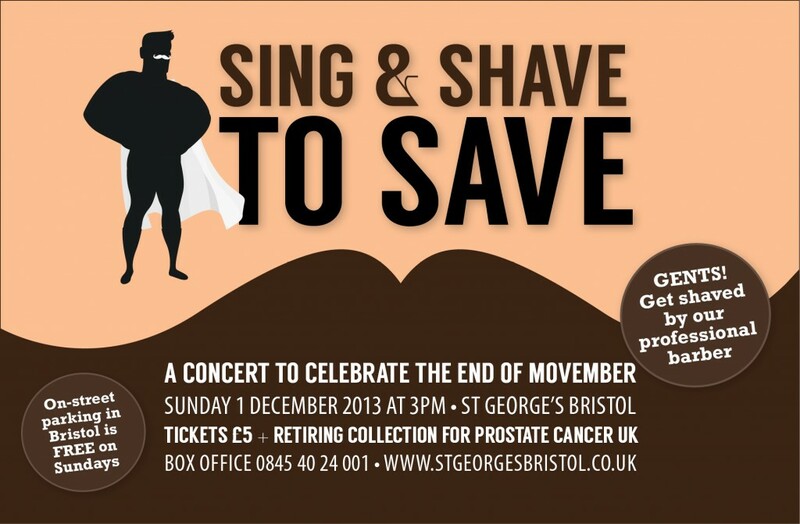 Fresh from their success on BBC Two’s hit series Sing While You Work, the Royal Mail Choir will join leading Bristol choirs at St George’s Bristol on Sunday 1st December to sing, shave and raise money for Prostate Cancer UK. Beginning at 3pm at the concert hall just off Park Street in central Bristol, over 150 singers will assemble on stage under the direction of choirmaster David Ogden for a riotous afternoon which will include the posties singing their iconic arrangement of the Beatles classic All You Need Is Love as featured in the Royal Mail Christmas advert. All the fun will be led by the presenter, BBC Radio Bristol’s Steve Yabsley. As well as contributions from the accomplished chamber choir Exultate Singers, the 80-strong voices of City of Bristol Choir and the young musicians of Bristol Schools Chamber Choir, the concert will mark the debut performance of a new 8-voice ensemble, More Than Four. 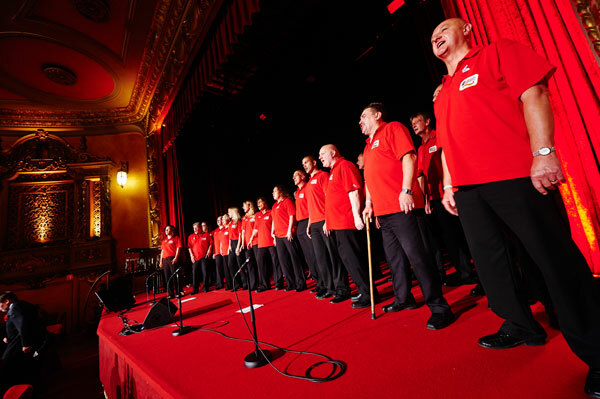 Since being formed for the BBC Two television series, Royal Mail Choir has raised over £40,000 for Prostate Cancer UK, including matched giving from Royal Mail, through concerts, donations and sales from the single it recorded with X Factor winner Joe McElderry. Tickets for the concert are on sale now at St George’s box office on 0845 40 24 001 or online from www.stgeorgesbristol.co.uk priced at just £5 for adults, £3 for under 18s. A fantastic afternoon’s entertainment with Royal Mail Choir (as featured in the current Royal Mail Christmas TV ad), City of Bristol Choir, Exultate Singers, Bristol Schools Chamber Choir and the debut performance of a new 8-voice ensemble, More Than Four, conducted by David Ogden. All the choirs will be performing in aid of Prostate Cancer UK. Come and celebrate the end of Movember, and gents can come and have their charity-raising moustaches shaved off by a professional barber. And courtesy of Bristol Mayor George Ferguson, on-street parking is free of charge! 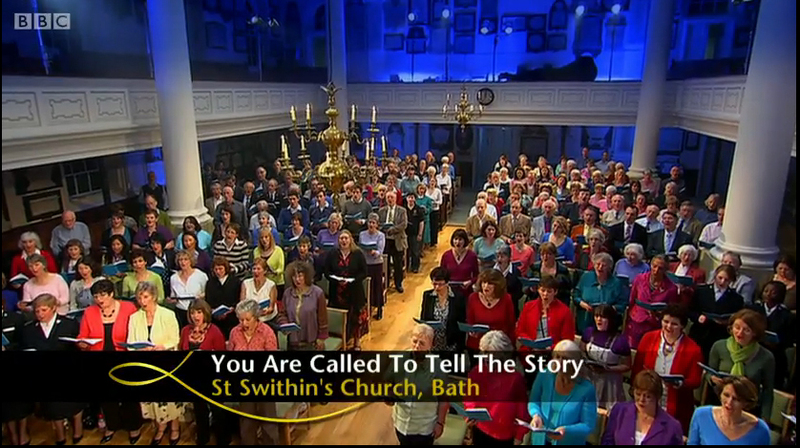 Tickets £5, children £3 from St George’s box office on 0845 40 24 001 or online at www.stgeorgesbristol.co.uk. Box office is open from 10am to 6pm, Monday to Saturday. Recorded at the iconic Abbey Road Studios, in the same studio in which the Beatles recorded, David conducted the Royal Mail Choir in his arrangement of ‘All you need is love’. 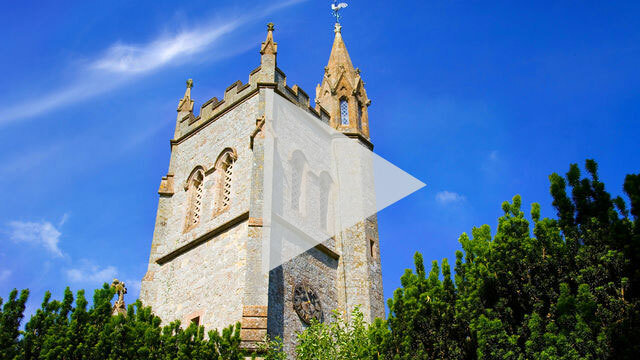 The recording is the soundtrack of the new Royal Mail TV ad which aired for the first time on 2nd November, during the X Factor and Downton Abbey.